Hundreds of students have passed through The Fold and experienced the life changing love of God. Our purpose has always been to expose our teens to Jesus in tangible ways and then watch as the Holy Spirit works in their lives. He brings life out of death. He transforms and makes all things new. He is creative and persistent in His love for us. This work wouldn't be possible without the financial support of our many friends and family members. Would you consider supporting a student at The Fold? Your support enables teens to receive student scholarships so that they may experience Christ’s unconditional love both in and out of the classroom. Students are applying to enter the program, and we need to raise $70,000 for student scholarships this summer. 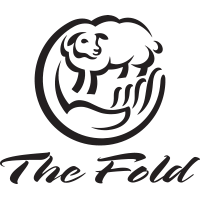 If you'd like more information, please email us at info@thefoldfamily.com.